It was our first time out on the Natchez Trace Parkway when we took a beautiful Sunday drive on April 2, 2017 to discover one of mid-Tennessee’s best known attractions. We began our journey where the pristine multi-state two lane road ends at mile-mark 441 in Nashville and headed south. 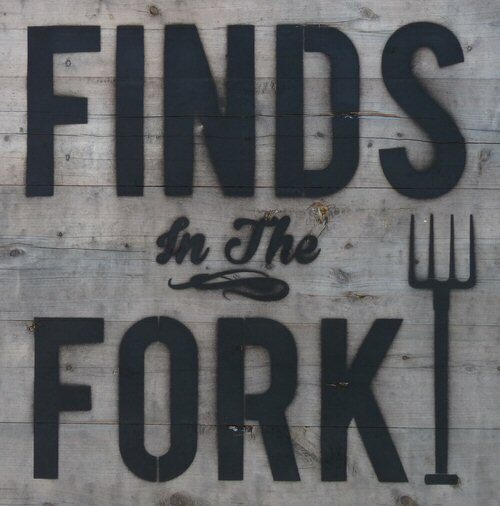 Our destination for the day was the remote and popular with millionaire musicians – Leiper’s Fork in Williamson County. 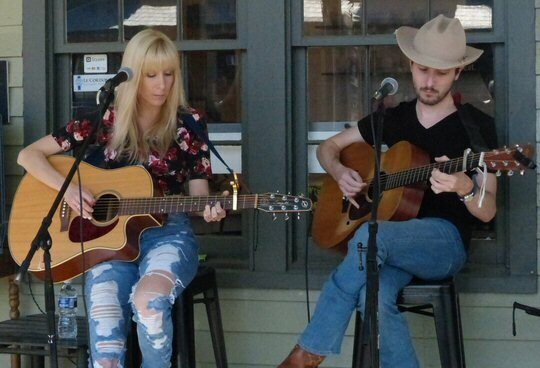 Lindsay Ellyn and Taylor Alexander Play Leiper’s Fork in 2017. Soon we rolled into the expansive rural town and began exploring its antique stores and gift shops when we noticed two recognizable faces staring back at us from the stoop of Sugar. 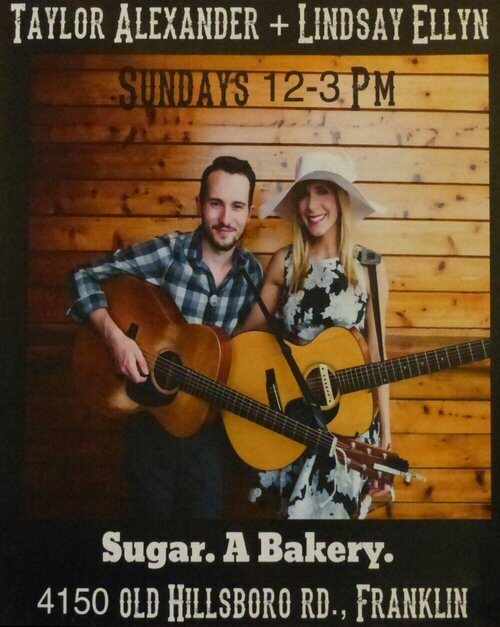 A Bakery as they played acoustic guitars and filled the air with pleasant and familiar folk music. 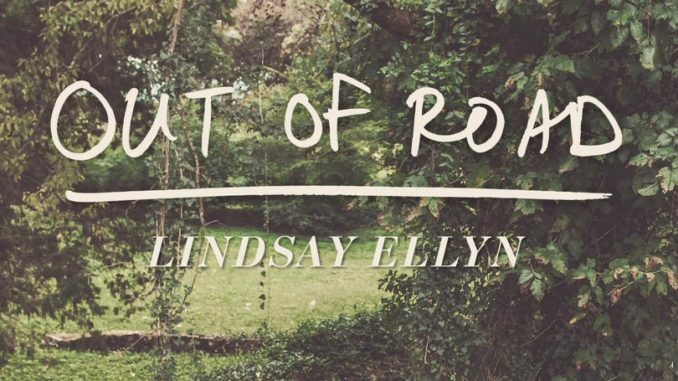 The first was the lovely and talented Lindsay Ellyn who we met in Music City back in 2015 at Two Old Hippies when she debuted her latest record with a large band that included country rock troubadour Jack Sundrud of POCO in the fold. Joining her was Taylor Alexander, a Georgia-raised, Nashville-based singer and songwriter. This four-time Georgia Country Music awards nominee has garnered praise for his songwriting that’s rooted in traditional country and timeless themes. He recently came to national attention as a member of Team Adam on this season’s edition of The Voice on NBC. Together, the pair make beautiful music together and fans can check them out every Sunday as they play homegrown songs and well-known favorites in classic country duet style. Come for the music and stay for the delicious sandwiches and addicting sweets. It was no wonder then when Lindsay told us that the couple was engaged with a wedding planned for a date later in the year. Maybe, just maybe, Tennessee has finally found it’s next Johnny and June. Leiper’s Fork, located along the Natchez Trace, boasts a small population of only 650 yet it is becoming home to megastar musicians including Justin Timberlake and Chris Stapleton. Its main street is lined with inns, retail, restaurants, private art galleries and real estate offices. The Natchez Trace Parkway (also known as the Natchez Trace or simply the Trace) is a National Parkway in the southeastern United States that commemorates the historic Old Natchez Trace and preserves sections of the original trail. Its central feature is a two-lane parkway road that extends 444 miles (715 km) from Natchez, Mississippi, to Nashville, Tennessee.